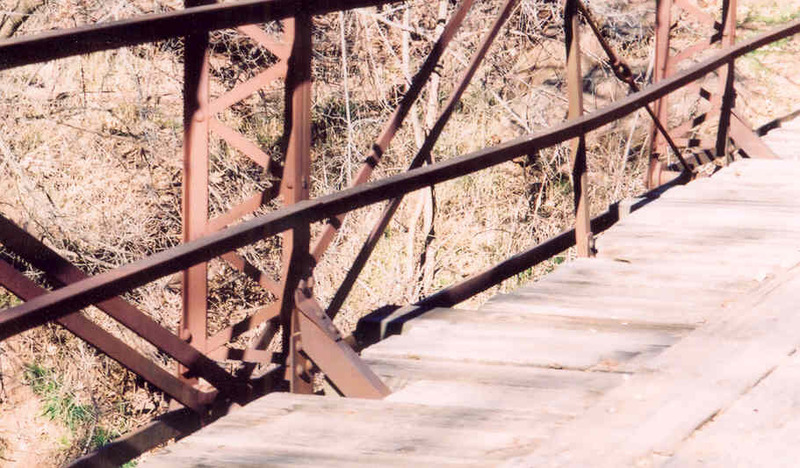 Built in 1913, this 70-foot Pratt truss spans Rock Creek 3/4 mile due west of the US-77/OK-15 junction. This bridge, which is a pin-connected Pratt Pony, is very typical of the type of bridge counties used to cross small creeks and streams. Below, a close up of a stiffening knee used to brace the trusses and thereby make the structure more ridged.